FXHome have announced HitFilm 3 Pro, the newest version of their flagship 3D composting, Editing and Effects application. HitFilm Pro is a new moniker that is set to replace HitFilm Ultimate. Why the name change? Pro is really better suited for this type of upgrade… “Pro” really says it all. HitFilm has always been an all-in-one kind of offering. You will find that most everything you need will be included. This is at almost at opposites with an application like After Effects. Htifilm sports a very capable editor where you can cut together your production and bounce back and forth between editing and effects all within the same application. Most notably, HitFilm has had a “true”, unified 3D space and workflow for a long while now. You can easily bring in 3D models and render them right in the composite without needing any 3rd party plugins. One of the greatest benefits of having a unified 3D space within a compositor is that other effects will respect the 3D space. That means that there is is no need to hack things together to make it all work. 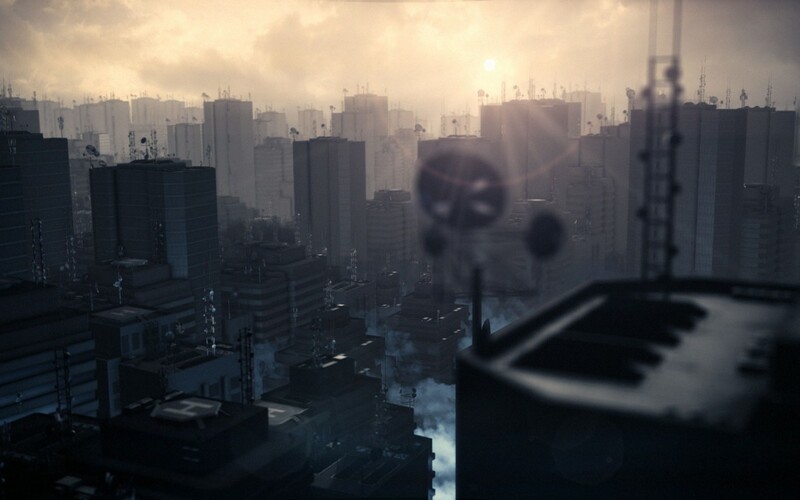 So particles can easily understand and use the 3D environment and its objects. How great is that? HitFilm 3 Brings Some Amazing New Features. HitFilm 3 Pro hits a home run with some new great and powerful features, including a new 16bit in and out OpenEXR pipeline, 20 new effects and OpenFX compatibility, and a new background proxy engine and brings intelligent caching into the mix. 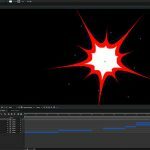 Hit film 3 Pro adds a new 3D particle instancing system, where it is now possible to generate hundreds of thousands of particles combined with live 3D model rendering. Think of having a 3D model of a city block, and instancing that into a whole cityscape. The 3D Particle Textures revolutionizes the entire system, alloying you to create fleets of ships, flocks of birds, a hail of arrows or a squadron of fighter jets. 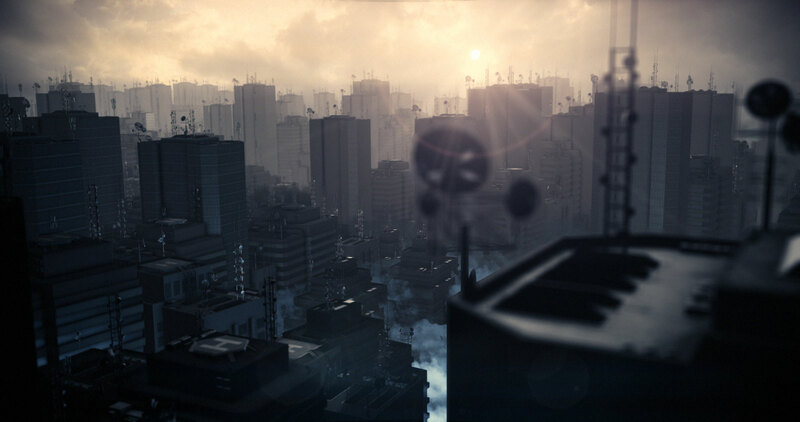 HitFilm has always included a unique particle generator plugin, called Atomic. 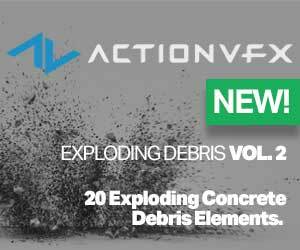 Atomic proved to be an extremely versatile GPU accelerated particle plugin. 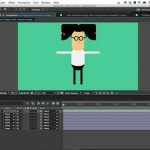 HitFilm 3 Pro atomic particles can be applied directly to 3D objects and can create an array of particles arranged according to the 3D models vertices and edges. 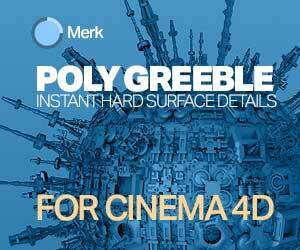 HotFilm 3 Pro will include Mocha HitFilm 4 from Imagineer Systems. HitFilm 3 will leverage Mocha’s planar tracker to include the ability to export tracked shape data back so you can use as an animated mask. – A huge timesaver. 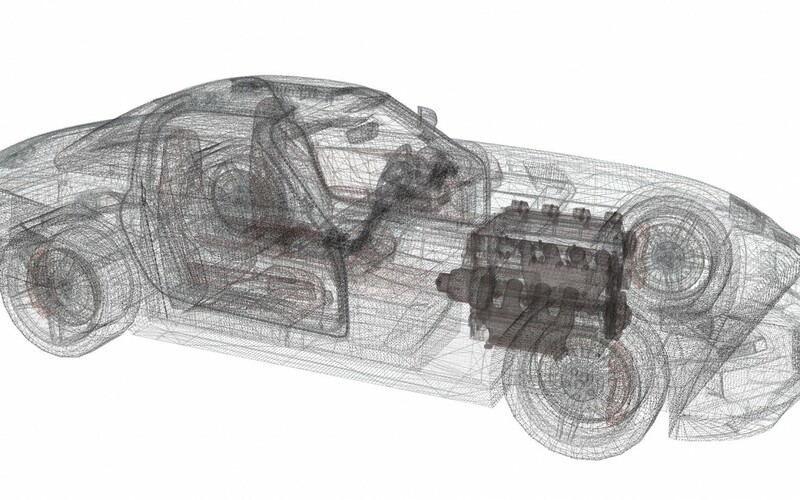 HF3 Pro improves the visual fidelity of 3D model renders with ambient occlusion now using 32-bit rendering and you can even go up to 32x MSAA if your hardware can handle it. 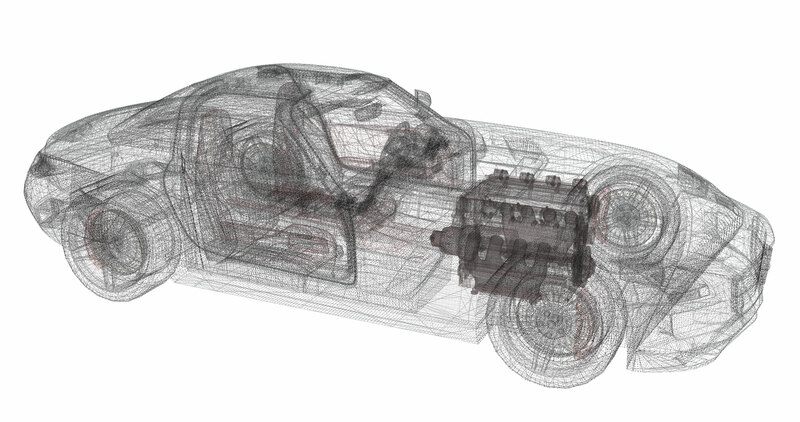 You are also able to render 3D Models in wireframe mode. 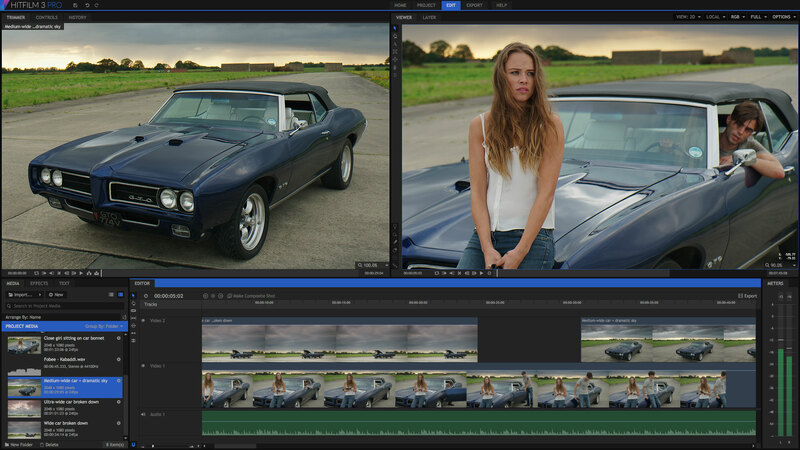 HF3 adds 20 new effects including volumetrics, heat distortion, lens blur, some new grading tools and curves. HitFilm 3 also includes support for OpenFX, the OpenFX is an Open-Source 3D modeling, animation and rendering suite. HitFilm 3 Pro is OpenFX compliant, opening the door to a whole world of exciting third party plugins. There will be some new things regarding the 3D workspace. The unified 3D space in HF3 has been reworked to provide better consistency and flexibility across 3D layers, objects and particles. Now the gunfire effect can now exist in its own isolated 3D space, or in the unified 3D space as well. A better unified 3D space means that you can place 2D footage much easier along side 3D objects in the compositor without having to use compositing tricks to get it all to work. 3D Layers can switch between their own isolated space or the unified 3D space. Using the isolated 3D space allows you to get access to effects and masks, plus a performance boost. Add glows to particle sparks and blurs to muzzle flashes without needing to create embedded composite shots. To learn more about all the new features of HitFilm 3 Pro, check out he page at FX Home – HitFilm 3 Pro, there are many more than are listed here. HitFilm 3 Pro is set to launch November 2014 for $299.00 and you can take advantage of bonuses offered to new and existing customers by pre-ordering today. – Upgrades will be from $169.